Shelby Knight is the Executive Director of The Center for Exceptional Families. Mrs. Knight is the parent of an adult son with autism. Since the diagnosis of her son, she has been active in all issues and projects involving children, youth and adults with disabilities. Shelby has 20 years of experience in the advocacy field, working as Co-Director of the federally funded Arkansas Parent Training and Information Center for five years and serving as State Training Coordinator for six years. 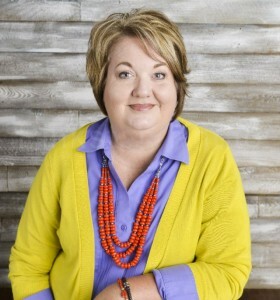 Shelby has an extensive background in non-profit development, having incorporated two successful disability centered agencies, the Down Syndrome Association of Northeast Arkansas, bringing the state’s first Buddy Walk to Arkansas; and the Autism Association of Northeast Arkansas, both family centered organizations dedicated to education and awareness of specific disabilities. In addition, Shelby serves as a member of the Arkansas Special Education State Advisory Council, the FIEP Taskforce at UAMS and is on the board of directors of David E. Puryear Center in Jonesboro. Shelby has presented at state level conferences, trained and inspired countless parents and professionals throughout the state of Arkansas. She has vast experience in networking with service providers and is widely known across the state as a dedicated advocate for the disabled. Shelby is committed to ensuring that the vision of The Center for Exceptional Families, Inc. be carried out effectively to the betterment of all Arkansans living with disabilities. Shelby has three children and three grandchildren. She lives with her husband and son in Jonesboro, in the Northeast corner of the state.